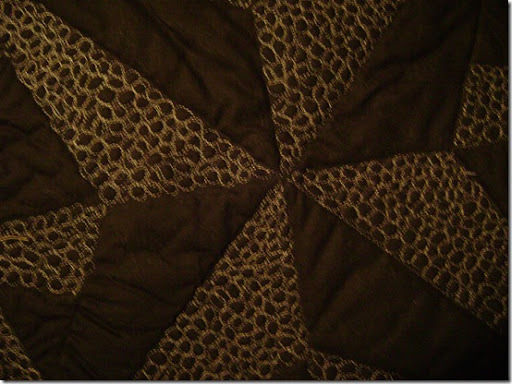 This quilt is available for purchase on my Etsy site. Click here to visit. 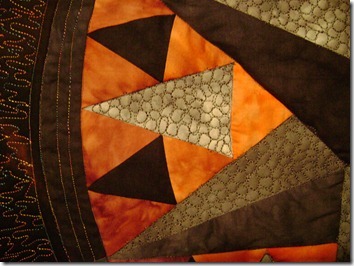 The quilt measures 25 inches square and is made of 100 percent cotton, both hand dyed and batik. 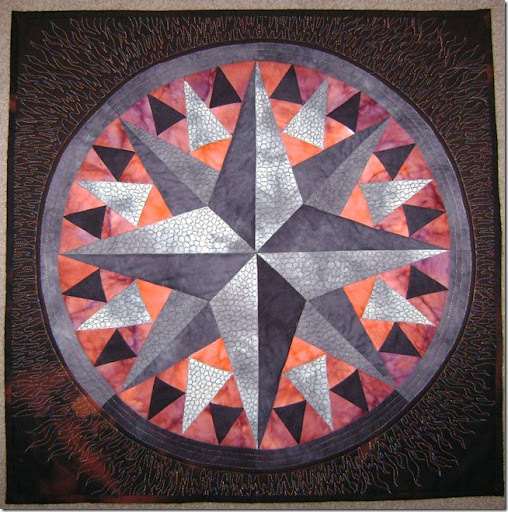 *Note: This post is scheduled to “go live automatically” during my quilt guild meeting when all of our challenge quilts are revealed. 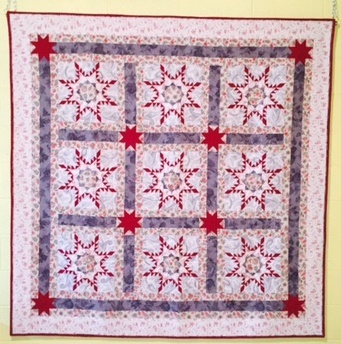 I will return at a later time and provide you with a link to see the quilts that others have made! That is GORGEOUS – way to rock the challenge, Caron! Did you get to meet tonight?